Football Player; Born in Dundee, Peter Lorimer spent the bulk of his playing career, from 1963 until 1986, with Leeds United although he did have spells with a number of other clubs. 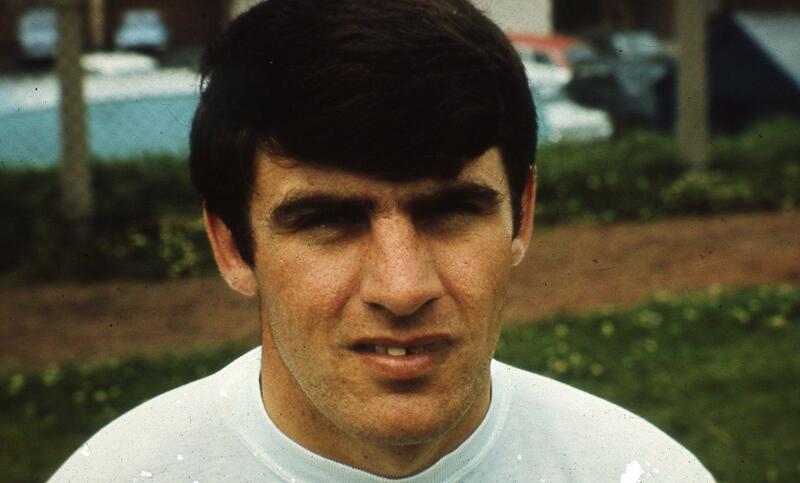 Lorimer’s debut for Leeds came when he was only 15 years of age but it would be season 1966/67 before he became a first team regular, making 34 league appearances and scoring 19 goals which made him top scorer at Elland Road. Thereafter Lorimer’s place in the team and the number 7 shirt was assured for the next decade and beyond. An attacking midfielder with an explosive shot, Lorimer would enjoy a trophy laden time at Elland Road, winning League titles in 1969 and 1974 and the FA Cup in 1972. Lorimer also won the Inter-cities Fairs Cup in 1968 and 1971 and the Football League Cup in 1968. Leeds were finalists in the European Cup Winners Cup in 1973 and finalists in the European Cup in 1975. Lorimer won 21 caps for Scotland, scoring four goals and played at the 1974 World Cup finals in West Germany. In his two spells with Leeds United Lorimer amassed a grand total of 676 appearances, scoring 238 goals.